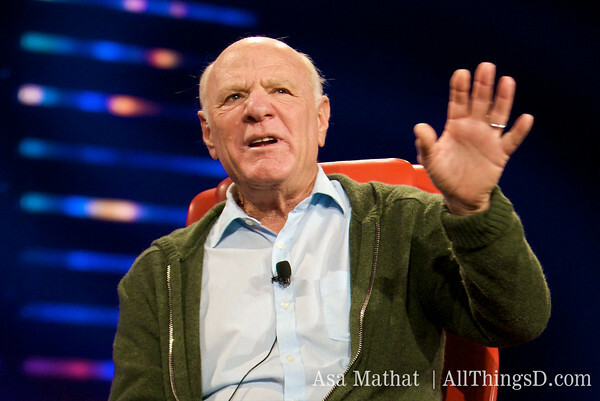 The New York Times, which was set to sell its About.com unit to Answers.com, now looks ready to sell it to Barry Diller instead. People familiar with the transaction say the Times now plans to sell About to Diller’s IAC conglomerate for about $300 million. The Times had previously planned to sell About to Answers for about $270 million. Diller lobbed in his offer after AllThingsD broke the news of the pending Answers transaction. Apparently, the fact that he’s offering a “clean cash” deal helped sway the Times and its Allen & Co. bankers. Answers and its private equity backers Summit Partners and TA Associates were going to finance the deal with debt, and would have included equity in Answers as part of the transaction. No comment from the Times or IAC. NEW YORK, August 26, 2012 /PRNewswire/ — Today IAC (Nasdaq: IACI) announced that Ask.com has agreed to acquire 100% of The About Group from The New York Times Company (NYSE: NYT) for $300 million in cash. With nearly 1,000 topic sites and more than three million unique articles, About.com is one of the most comprehensive content and reference libraries on the Internet, offering expert, quality content across 90,000 topics that helps users find solutions to a wide range of daily needs. Globally, nearly 100 million unique users visit About.com on a monthly basis. Ask.com, with more than 100 million users globally of its own, is one of the leading search and Q&A platforms on the internet. Upon closing, The About Group will join IAC’s Search and Applications reporting segment, joining Ask.com, Dictionary.com, Mindspark, nRelate, and Pronto. Darline Jean, About’s CEO, will report to Doug Leeds, Ask.com CEO. This segment has recorded double digit growth for the last two years, consistently outperforming expectations and driving the company’s total revenue and profits. The deal was signed on Sunday August 26, 2012. NEW YORK, August 26, 2012 – The New York Times Company (NYSE: NYT) has entered into an agreement to sell its About Group, which includes the Web sites of About.com, ConsumerSearch.com and CalorieCount.com, to IAC (NASDAQ: IACI) for $300 million in cash. The all cash transaction is expected to close in the next several weeks. The Company intends to use the net proceeds for general corporate purposes.